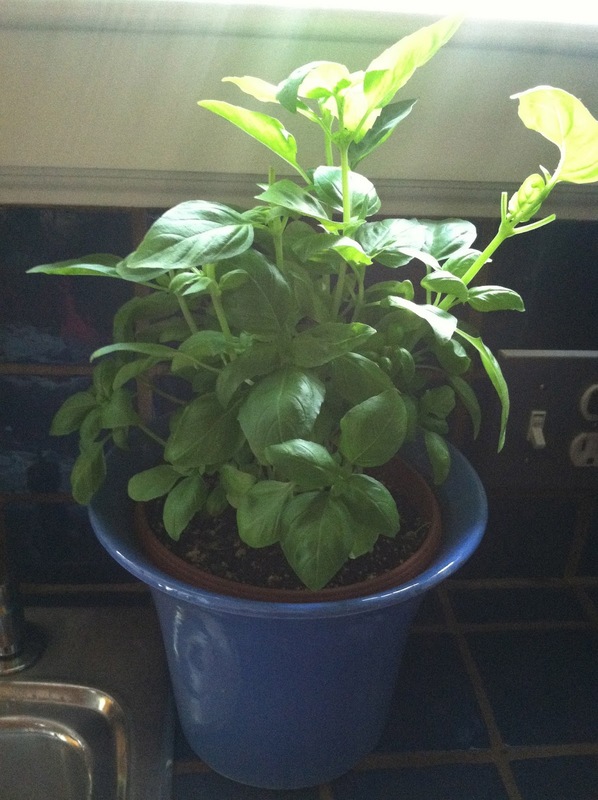 It’s the summer of salads! 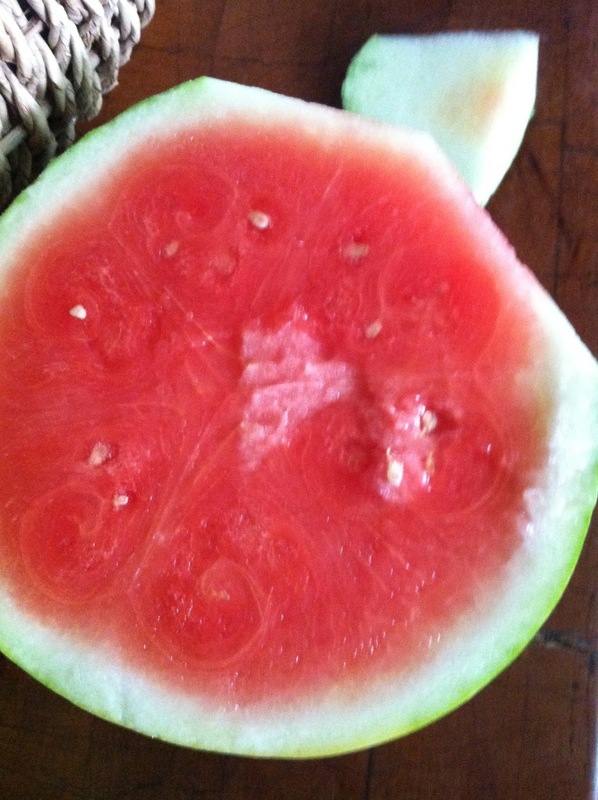 This is so easy, so pretty, and so tasty too. I know the 4th of July is on Thursday, so if you wanted to throw in some blueberries you could make a red, white, & blue (and green) salad for wherever you’re going to celebrate. 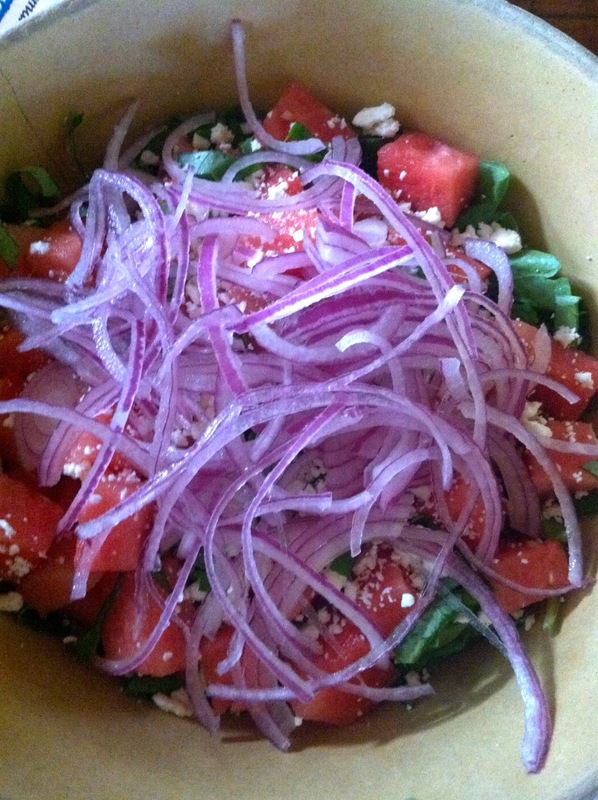 This is a crowd pleaser – sweet watermelon, tangy feta, peppery arugula. Yummo. 1. 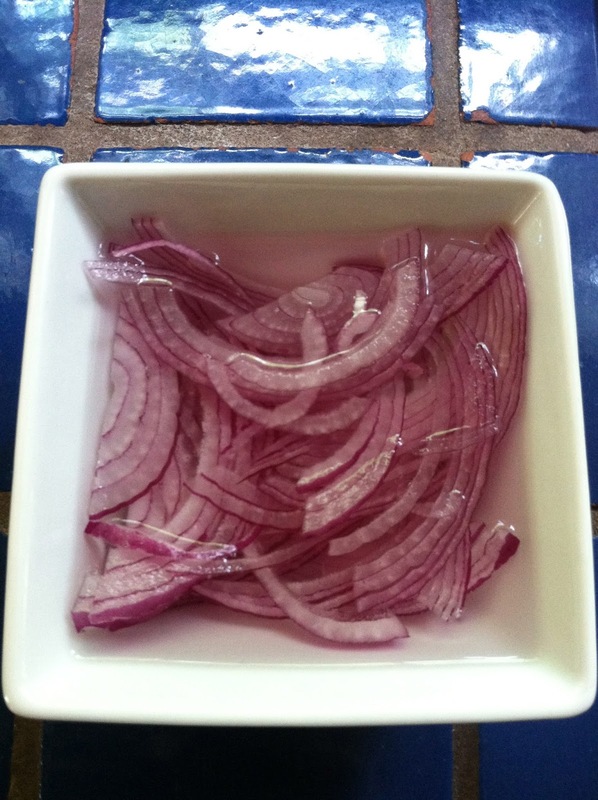 Cut the red onion into slivers, then soak it for approx. 15 minutes. 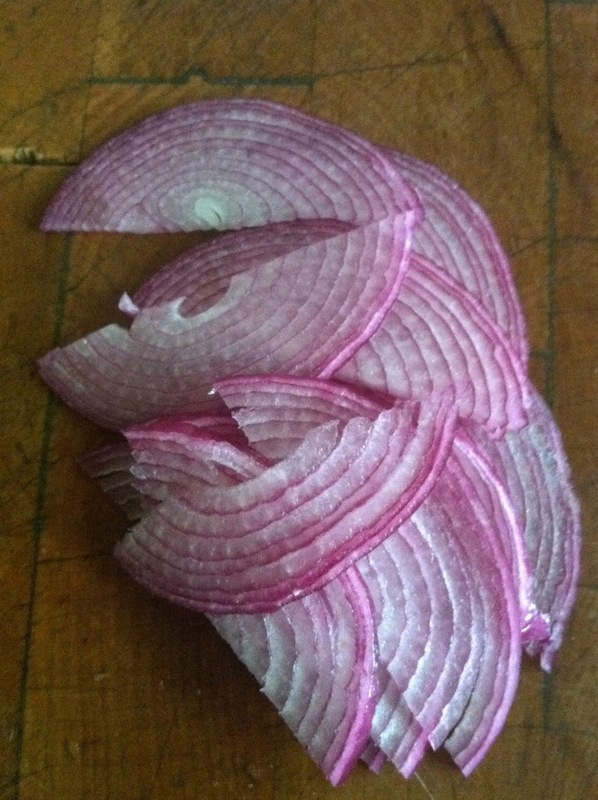 This takes some of the “bite” out of the onion, so it doesn’t overpower the other flavors in the salad. 2. 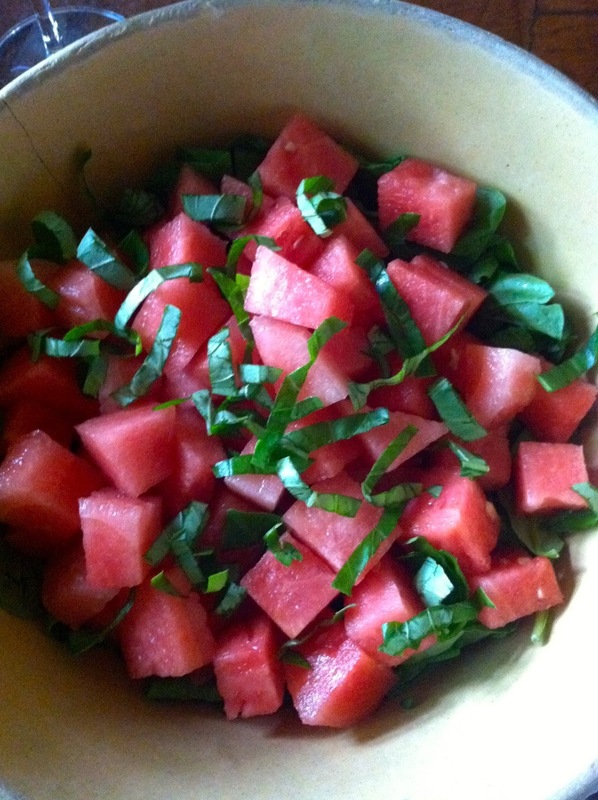 After it’s finished soaking, pat the onion dry, and then in a large bowl, combine it with the arugula, watermelon, basil & feta. 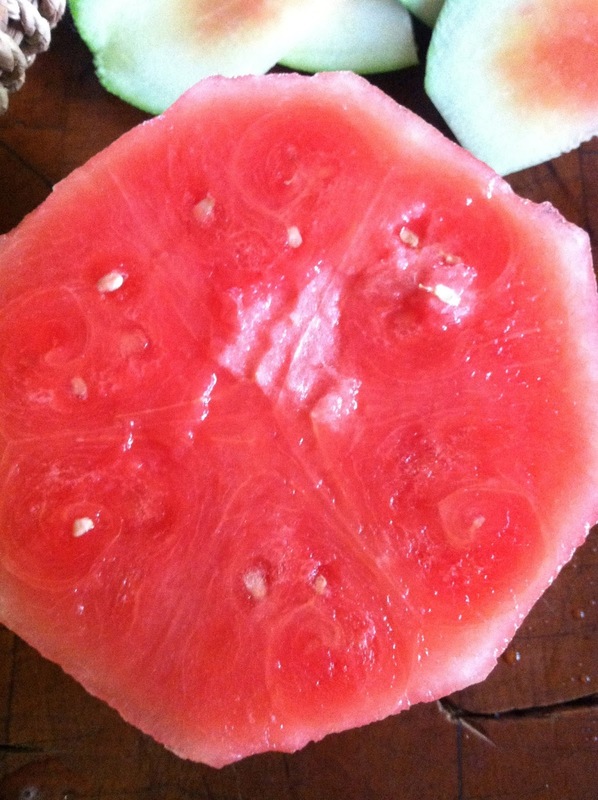 I’ve found the easiest way to cut watermelon is to cut off the bottom (so you have a little stand), then cut it in half. 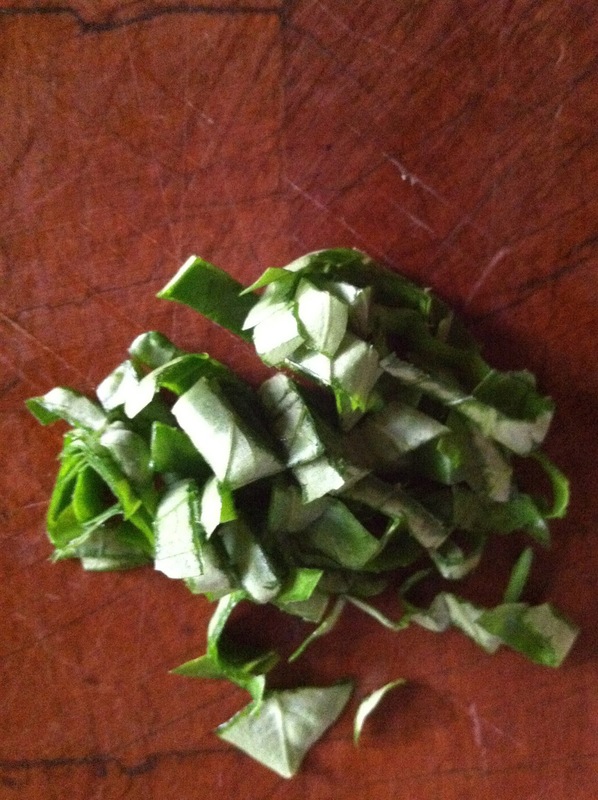 Then, cut the green parts off around the sides, using downwards cuts. 3. 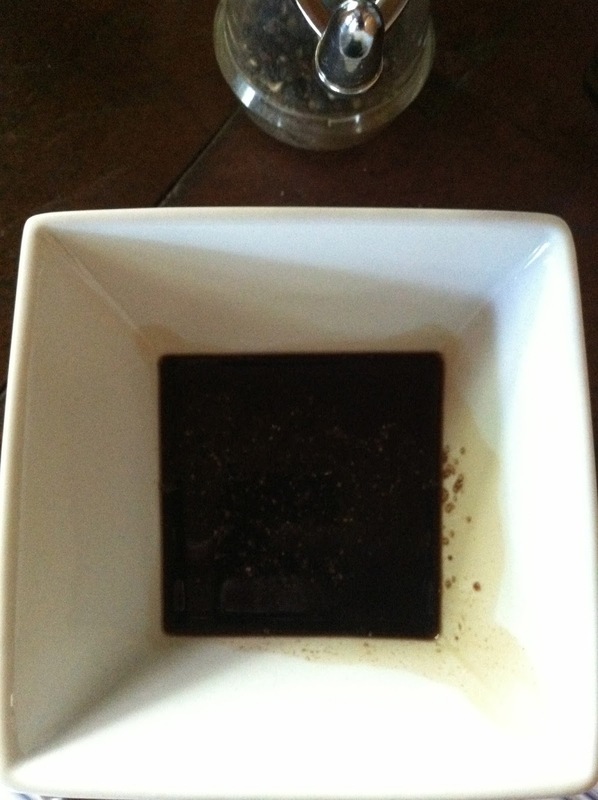 In a small jar, add the balsamic, then a little kosher salt & pepper. 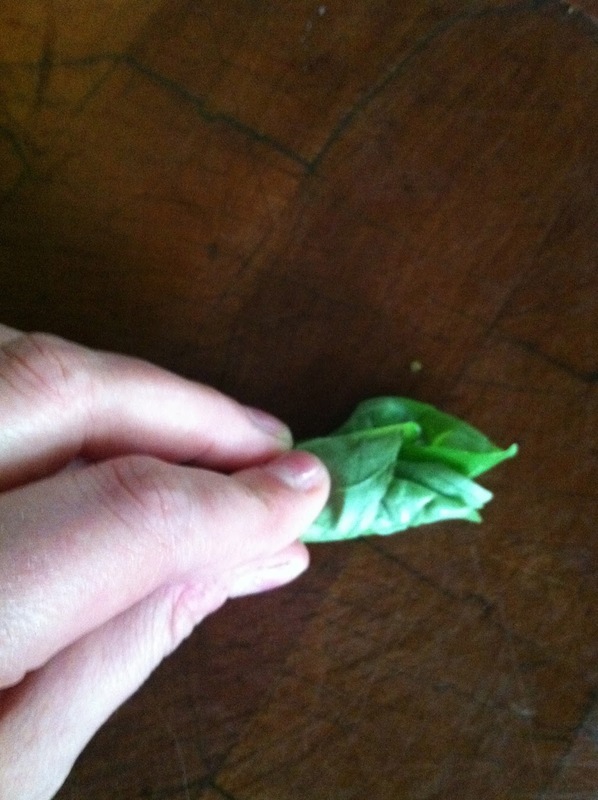 Then, add the EVOO, and mix together well. 4. 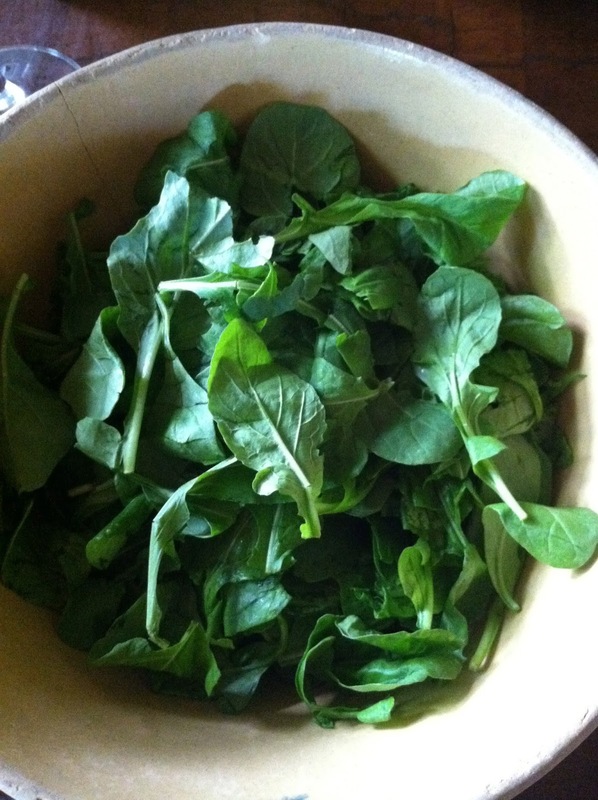 When ready to serve (this gets kind of soggy if you mix it too far in advance, so add the dressing just when it’s ready to go out to the table), top the salad with the dressing. Mix everything gently together and serve. Preferably dining alfresco with your wonderful family. — I’m big on the post-scripts lately, I know, but I just want to thank MY FRIEND Klob for believing in Andwhatiate.com so much and for his very generous donation. You’re my favorite and I’m putting that on the internet for everyone to see! Thank you my friend. 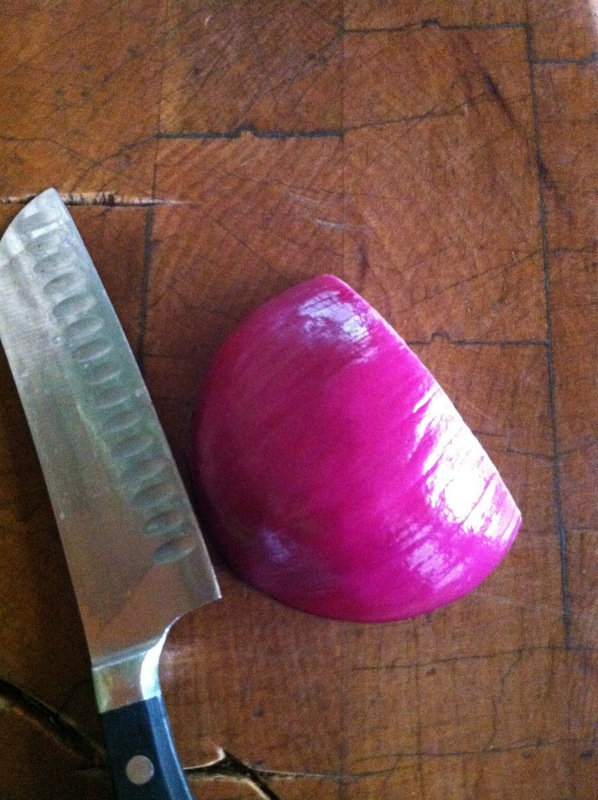 I owe you dinner – I’ll cook. 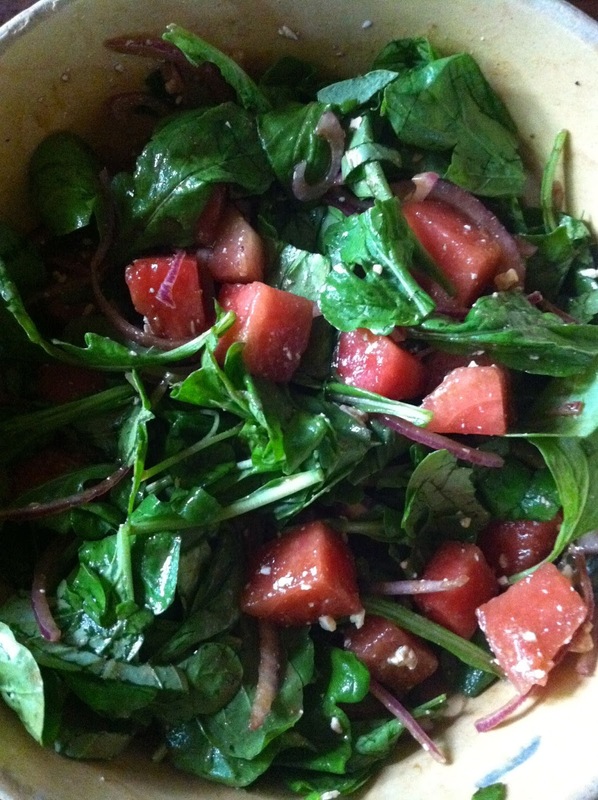 This entry was posted in arugula, basil, feta, friendship, gluten-free, july recipes, salad, summer, watermelon on July 2, 2013 by westyn.